Health Fair Connections | Can we provide flu shots? Can we provide onsite flu shots during their health fair? The answer: It all depends on what the host is looking to have at their health fair. I know, that's not ideal. 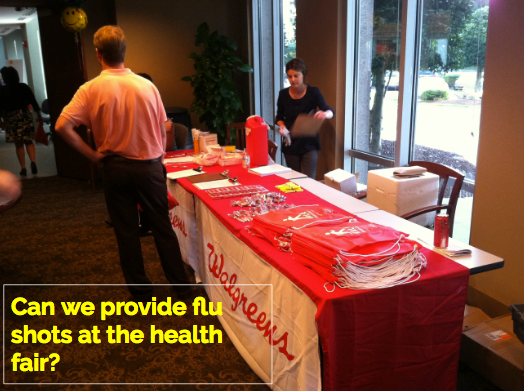 But you'll be happy to know that quite frequently, yes, they are looking for a provider that can offer onsite flu shots during their health fair. See the pic below of a health fair event page. 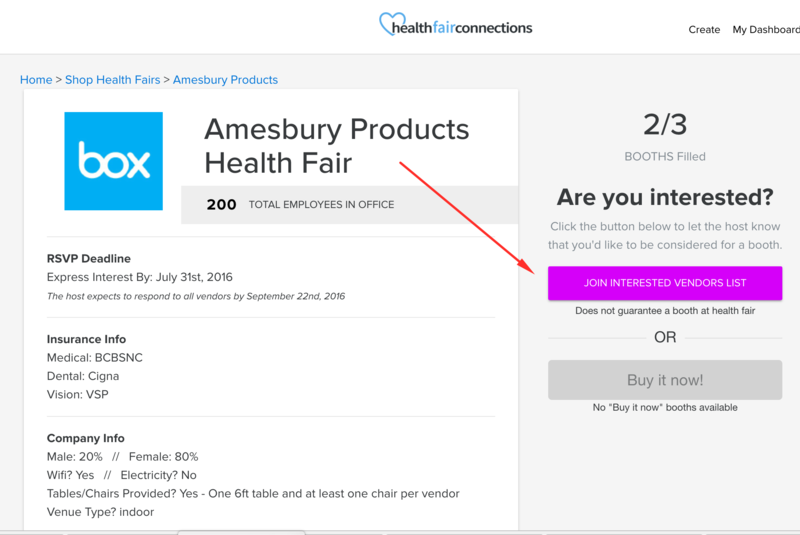 Health fair event pages are where you can join the list of interested vendors. The hosting company will then review your profile, and if they want flu shots, will select you to attend their health fair! Once you're selected to attend, communication is opened up between you and the host. You can now message the host and discuss the details. See the pic below as to where you can send/receive your messages in your dashboard. 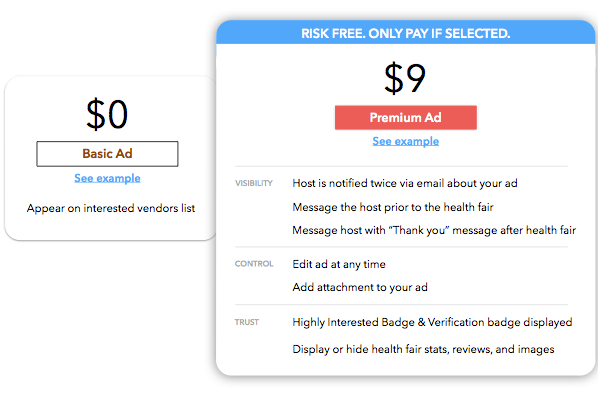 If you need to connect with the host ASAP in regards to if you can provide flu shots, choose the high chance option (premium ad) which allows you to ask the host a question without getting selected first. Thanks for reading and hope this post helps!